In Luo Wenyou's cavernous, hangar-like exhibition building in Beijing's northern Huairou district, the scents of history and engine oil are dovetailed, CNN reports. 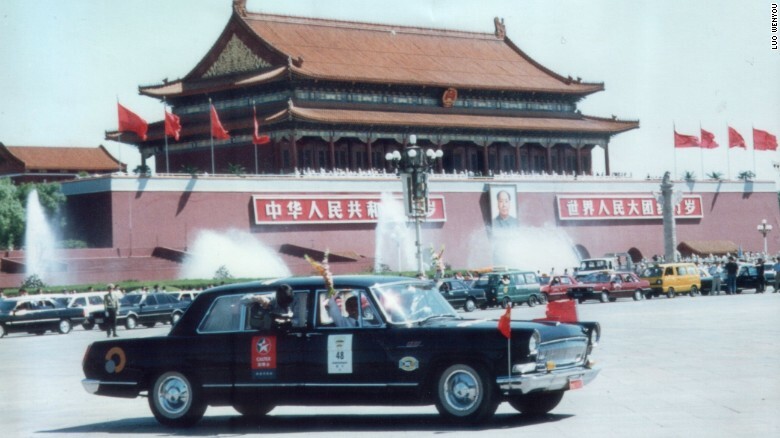 Luo owns around 200 vehicles, ranging from a jet black stretch limo made for Mao Zedong to an enormous red fire truck. Last month, his obsession with vintage cars -- an esoteric interest in China -- was featured in a mini documentary, aptly named "Driven." Luo's collection began in 1979, when he first became what was a rarity in China at the time: a private car owner. He bought a blue Polish Warszawa car for 5,000 Yuan ($725). (Production for Warszawas began in the 1950s). "I changed my white gloves every day and wore sunglasses when I was driving," says Luo, sitting in the back of a 1966 limo car made by the brand Hongqi. "Even in the winter I would lower my window so people could see me.